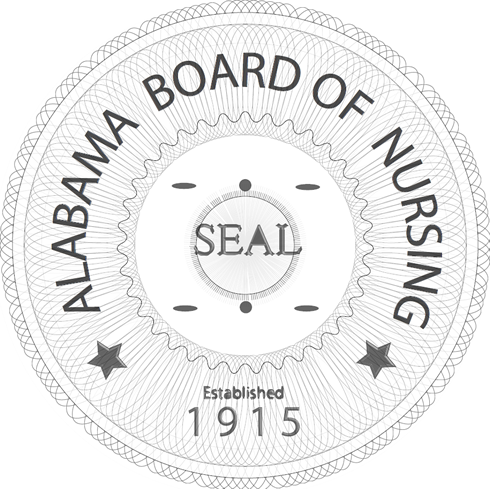 PLEASE NOTE: The Alabama Board of Nursing provides Licensure Lookup as primary source verification to allow you to validate a license as of the date that the verification is printed. Subscribe to ABN’s Subscription Service (http://www.abn.alabama.gov/verification/#tab-subscription) to receive real-time updates on license status, Advanced Practice approval, and discipline. * The term "encumbrance" refers to probation, suspension, or revocation of a license. Report was printed: April 26, 2019. ATTENTION EMPLOYERS: This primary source verification is valid only if the original was printed and is maintained in your facility. You should not accept a copy of this form under any circumstances.